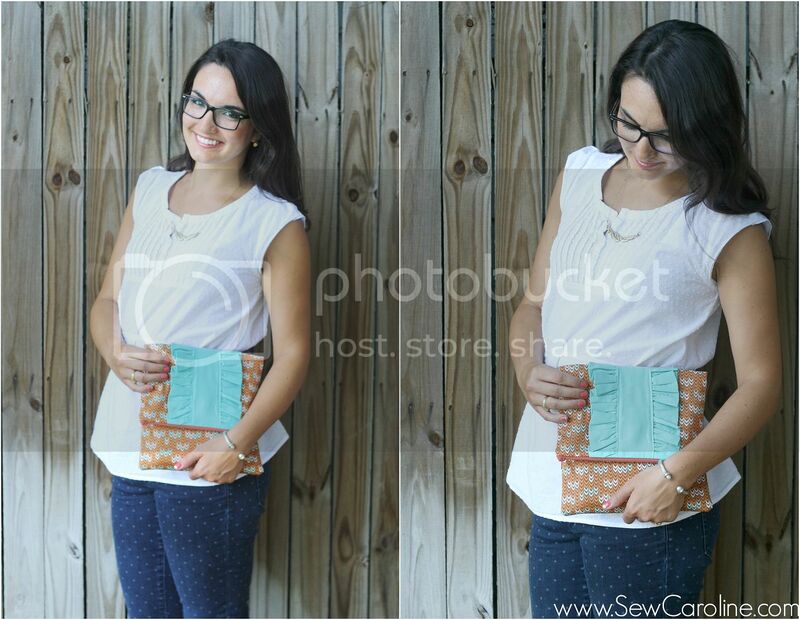 This post was written by Caroline of Sew Caroline! 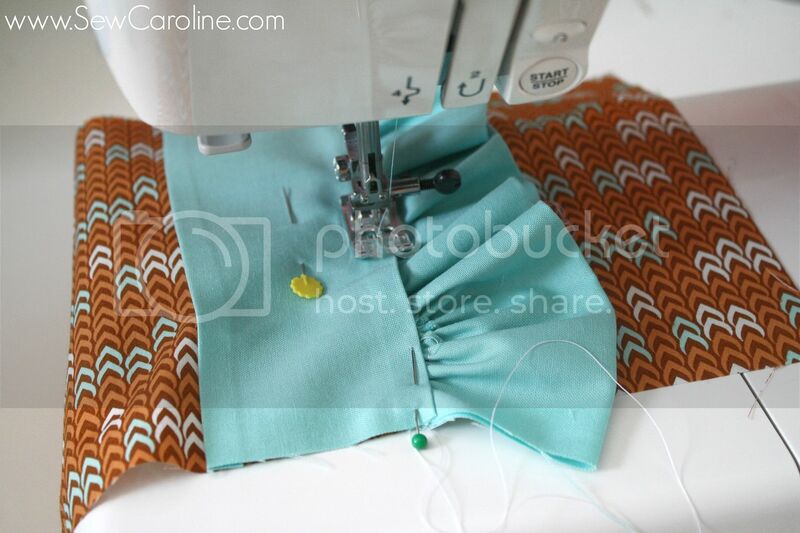 Caroline is always sewing cute things for herself to wear I just love seeing the fun fabrics she uses! She also participated in Project Sewn last season and rocked it! 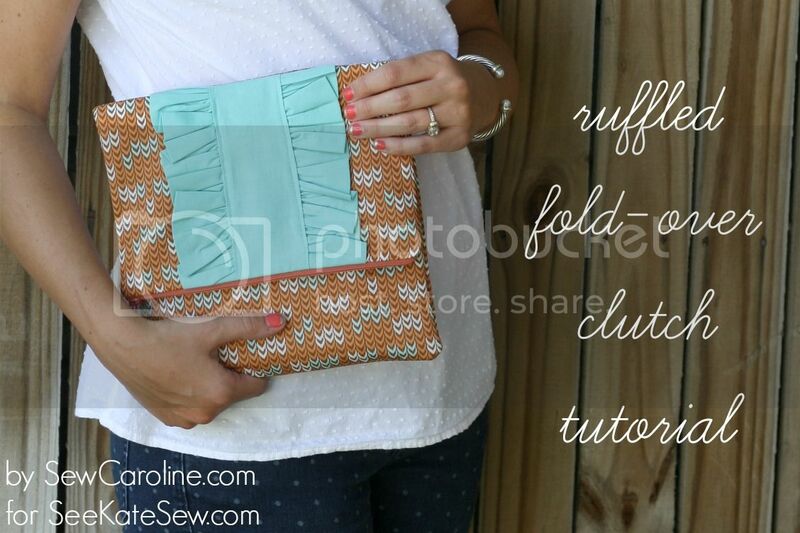 I’m so excited that she is sharing this ruffled fold over clutch tutorial today! 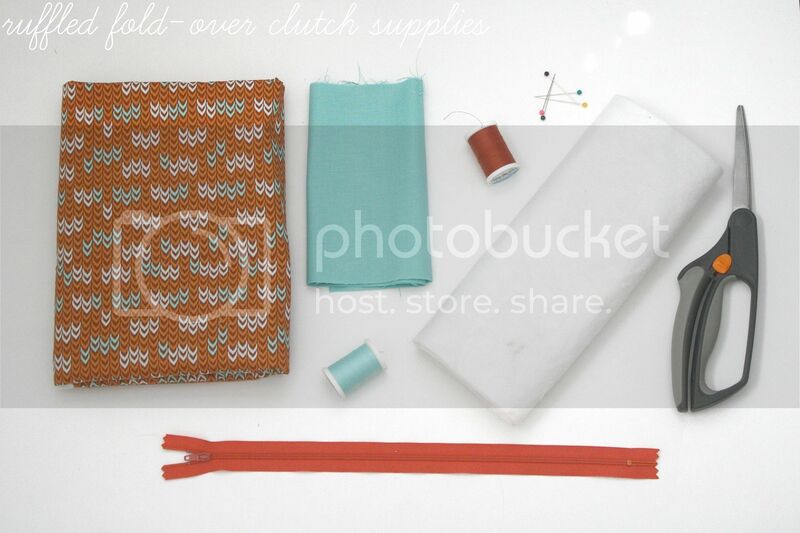 For this tutorial, you’ll need: 1/2 yard of fabric for clutch + lining, 1/4 yard of accent fabric, coordinating thread, a 14″ zipper, 1/2 yard of fusible fleece interfacing, + other sewing supplies such as scissors, pins, etc. First, you’re going to do some cutting. Next, take the 3″x7″ accent piece and tuck under the raw edges on the long sides about 1/4″ and press. Pin this in the center of your 10.5″x7″ clutch fabricThen, take the two 4″14″ pieces and fold and press them in half long ways. These will be your ruffle pieces. On your machine, set your stitch length to the longest it will go. 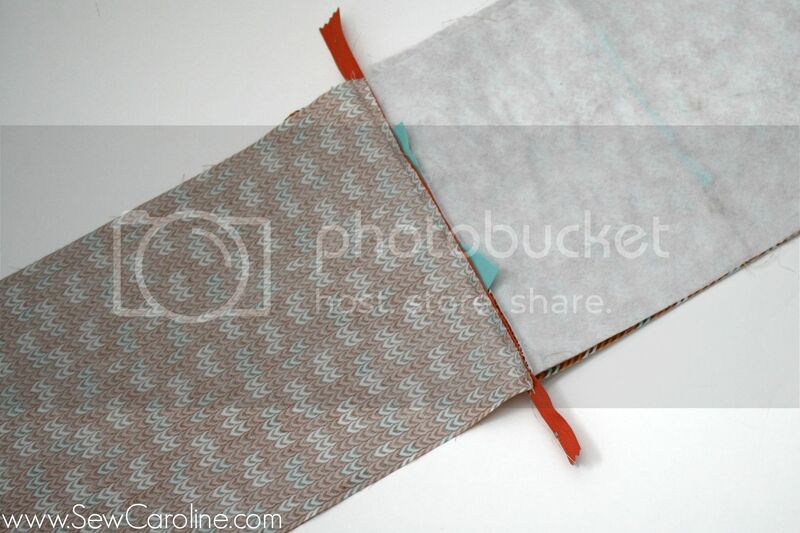 Sew along the raw edges of the (now) 2″x14″ accent pieces at 1/4″. 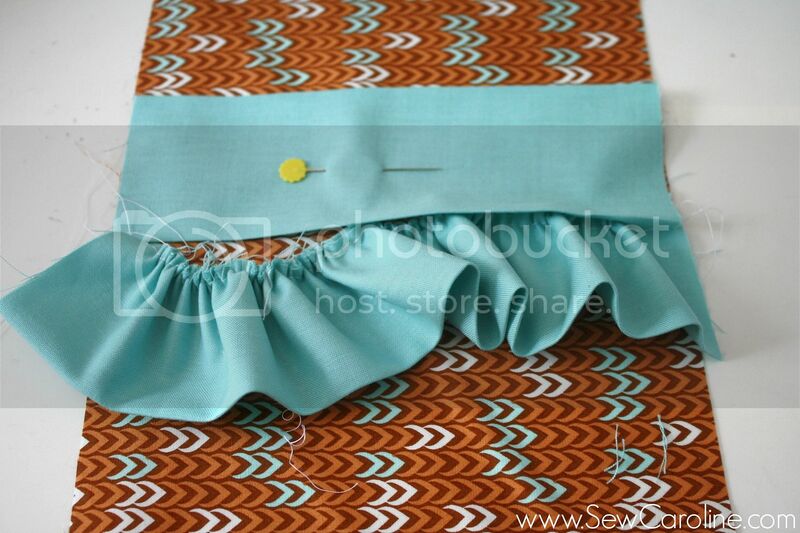 Pull the bobbin thread and gather your fabric to create a ruffle. Gather it to be 7″ long. 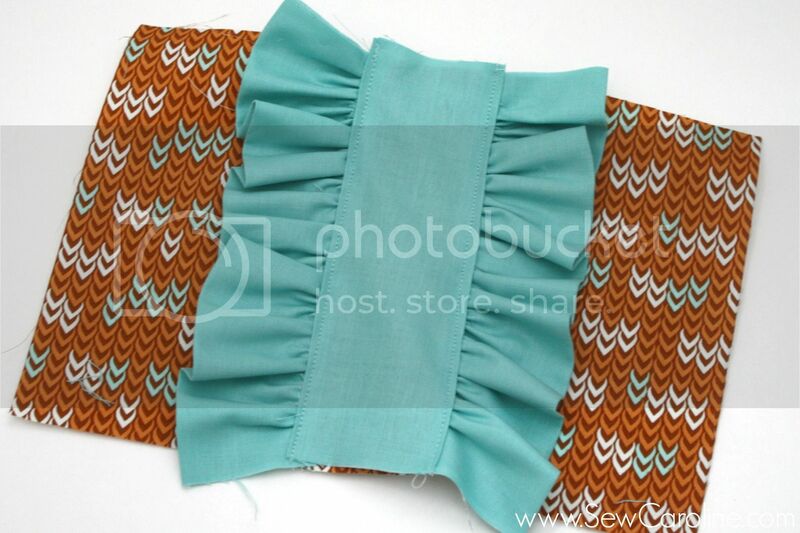 When your ruffle is gathered, tuck the raw edges under one of the sides of the accent piece you pinned to the front of your clutch. Top stitch along the edge so stitch the ruffle in place! Repeat this for the other side. 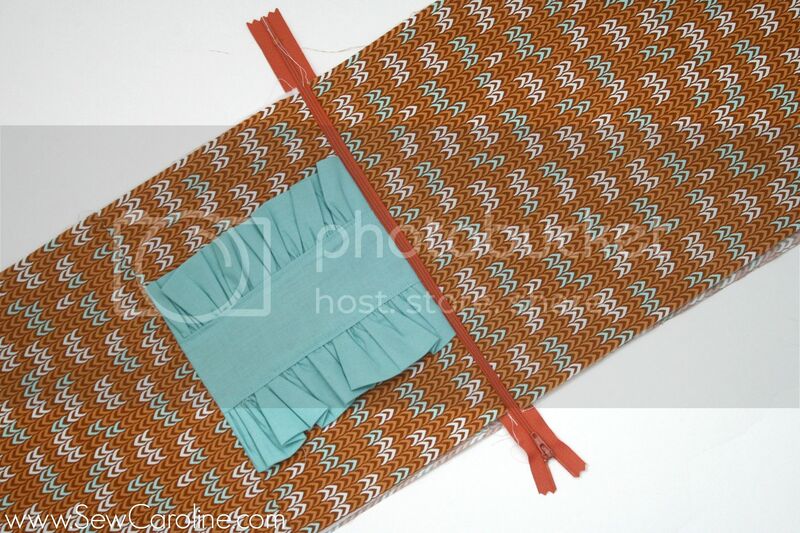 Now, take this piece and place it right sides together with the other clutch piece that measures 10.5″x11″. Pin and sew using a 1/2″ seam allowance. 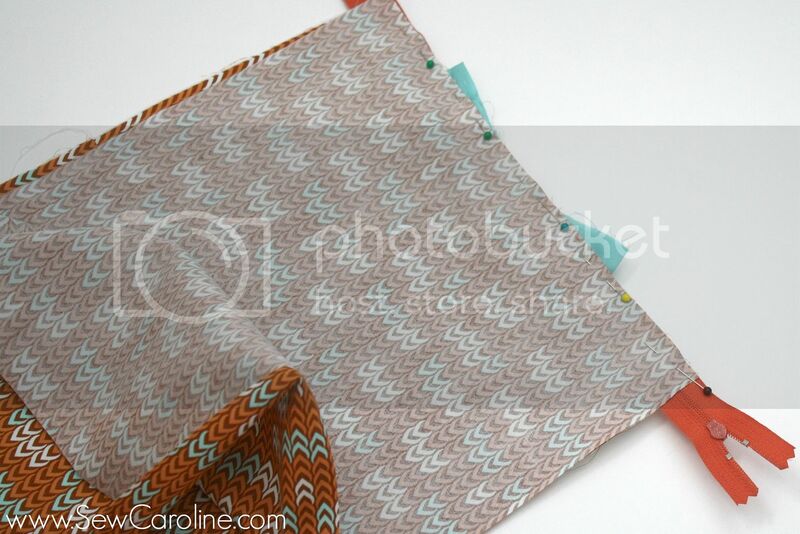 Press the seam up and add your fusible interfacing to this piece and the other 10.5″x17″ piece of fabric you’re using for the front of your clutch. Now, we’ll add the zipper… Layer the front of your clutch (face up), then the zipper (face down), then your lining fabric (face down). Pin and sew in place using your zipper foot. Repeat this for the other side of the zipper. Now, unzip the zipper about half way, and place the front sides right sides together and the lining right sides together. Pin and sew all the way around the front pieces, and almost all the way around the lining pieces (leaving about a 3″-4″ opening for turning). 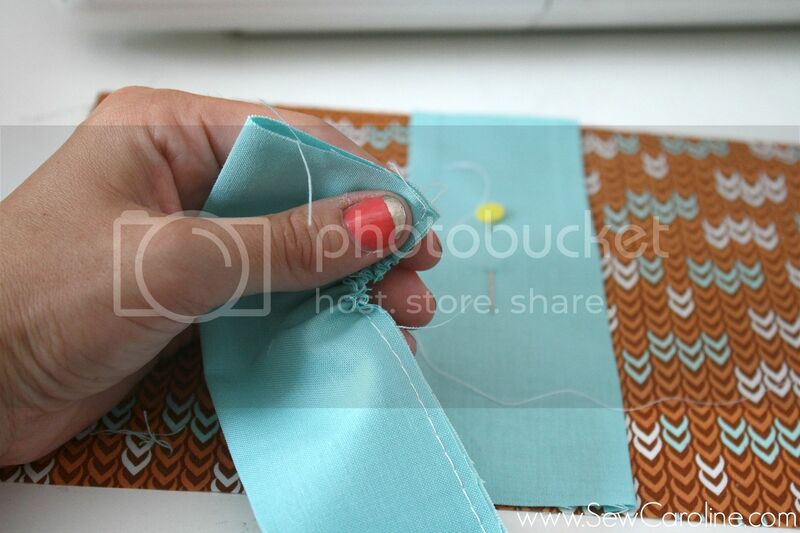 Turn your clutch right side out, tuck in the raw edges on the part that was left open and top stitch it closed. 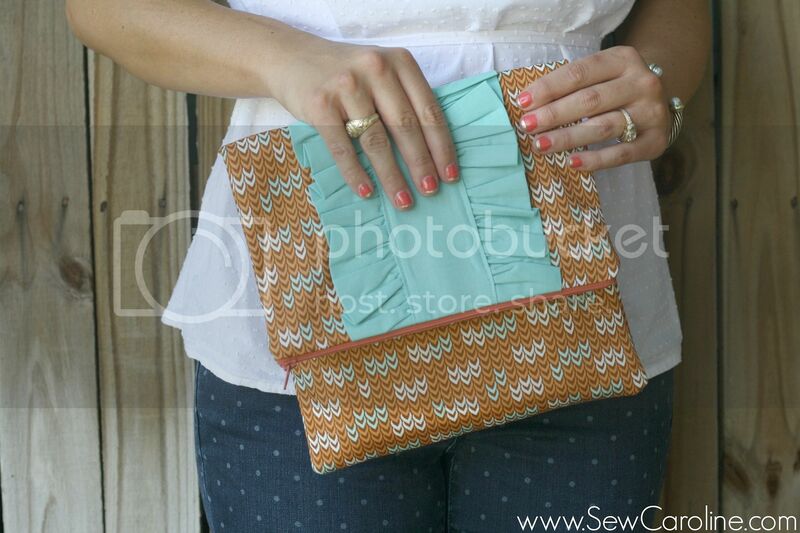 Stuff the lining inside your clutch, press the seams and clutch flat. Fold over and wear! Thanks Caroline! If you liked this post you’ll also love this simple spring dress tutorial and these instructions on drafting a custom circle skirt! Rosa + Rosie Mommy + Me Shoot! thousands of free patterns at Craftsy! the wildflower top + jeans! december sponsor giveaway! This is lovely! 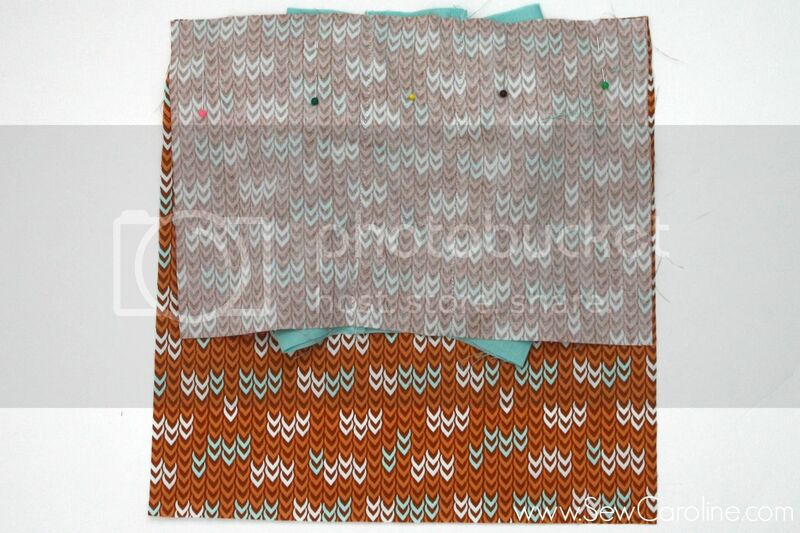 I love the fabric combo! This is insanely cute! I would to try it but linings make me nervous! lol!